St. Louis Salt Room - FIRST PROVIDER IN THE MIDWEST ﻿ Call 314-647-2410 for an appointment PLEASE DO NOT REQUEST A PUBLIC SESSION WHEN A FEVER IS PRESENT OR DURING THE FIRST THREE DAYS OF A COLD 2739 Sutton Blvd. Maplewood, MO 63143 info@mysaltspa.com Individual 45-minute sessions are $35 but can be as little as $12.50 when multiple sessions are purchased. See more details about pricing and hours in the 'About Us' section. Three Session Pass - Shorten recovery times and prevent secondary respiratory infections with consecutive sessions. Buy 3 adult sessions for only $60 (should be used within about 7 days) or $75 for children 12 and under (with one non-paying adult). Public or Private Room rates - See 'About Us' section. Individual 45-minute sessions are $35 but can be as little as $12.50 when multiple sessions are purchased. See more details about pricing and hours in the 'About Us' section. Three Session Pass - Shorten recovery times and prevent secondary respiratory infections with consecutive sessions. Buy 3 adult sessions for only $60 (should be used within about 7 days) or $75 for children 12 and under (with one non-paying adult). Public or Private Room rates - See 'About Us' section. 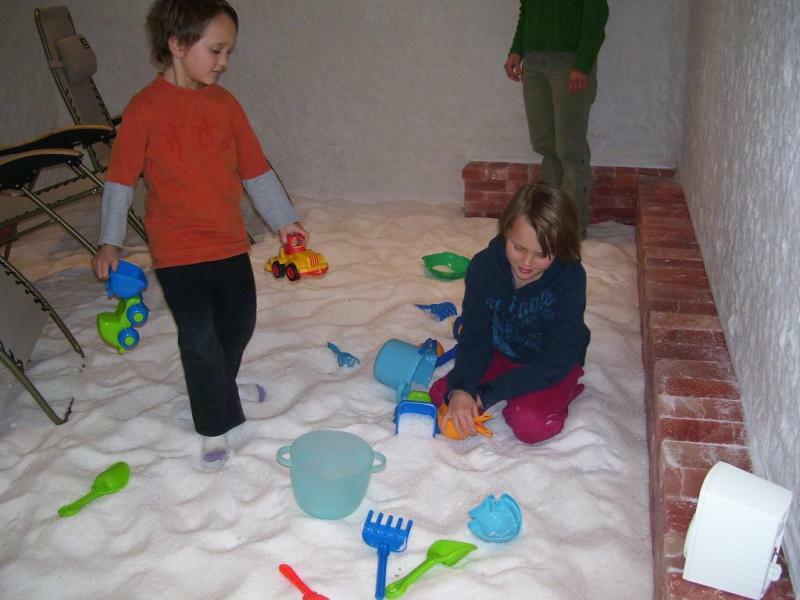 Note: Our 2nd Salt Therapy room, the smaller Salt Cabin, offers more affordable private sessions for one or two individuals, and is also prefered when bringing a baby or toddler (the floor is not covered with salt in the cabin). Private sessions in this room are $7.50 / $10 more than the public room rates for one / two individuals, respectively. The rate with a child, however, is the same as the public room rate. 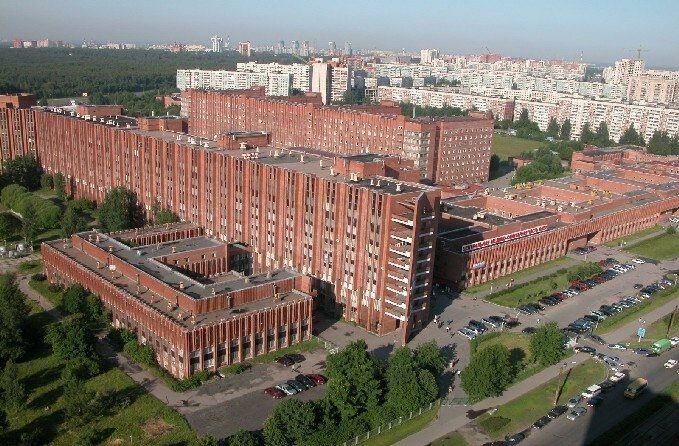 St. Petersburg, Russia is the birthplace of modern Salt Room Therapy (early 1990s). In 2013 we fine-tuned our knowledge about Halotherapy in Russia with the physician most responsible for its development, Alina Chervinskaya, MD. While Salt Room Therapy is a MUST for anyone with chronic lung/sinus conditions, it is also widely used by athletes, singers and many others who depend on outstanding respiratory function. 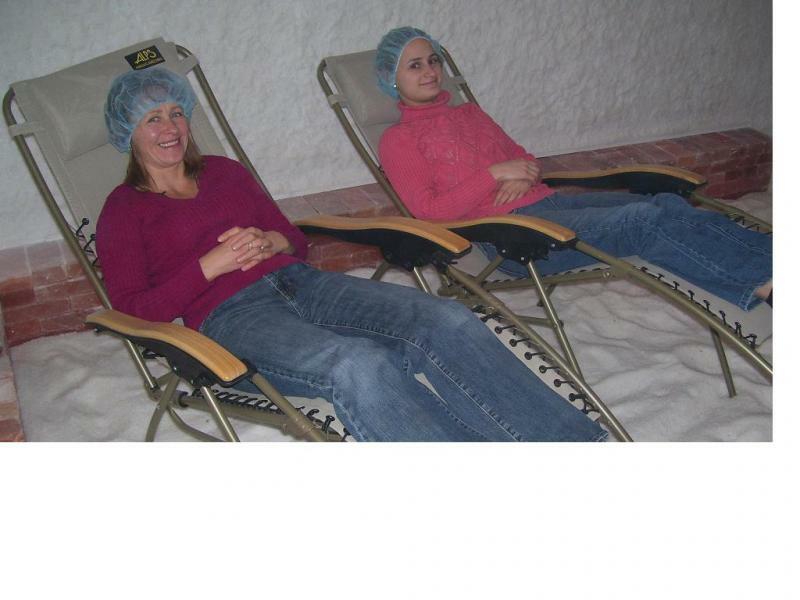 To clear up a misconception about Salt Therapy, the Salt Room is not hot like a sauna nor excessively humid. The tempurature is between 72-74 F and the humidity between 45-55%. Any clothing can be worn, though loose fitting is best when possible. You may want to bring additional layers if you tend to get cool at normal room temperatures. A 45-MINUTE SALT THERAPY SESSION PROVIDES THE HEALTHFUL BENEFITS OF FOUR DAYS SPENT BY THE SEASIDE, AND THEN SOME! *Clinically tested in Russia (2001) to be 81.4%-92.3% effective at providing long-term relief. Pending FDA approval in the USA. ATHLETES - Outperform the competition when your lungs become able to absorb more oxygen...naturally. Tiny ionized salt particles (.5 - 10 microns) enter the respiratory system, including the deepest portion of the lungs (the alveoli). Salt has anti-bacterial and anti-inflammatory properties. The dry saline mist reduces edema of the mucosal lining, restores the normal transport of mucus, and unclogs blockages in the bronchi and bronchioles. You may not have heard of Halotherapy yet, but throughout the world it is quickly becoming one of the most popular ways to find relief from an array of health problems naturally, effectively and inexpensively. ‘Halos’ means salt in Greek, thus the name Halotherapy. Salt has had plenty of bad press lately, and rightly so. Conventional salt that we use daily has been responsible for numerous health problems. But in salt therapy, very small amounts of high quality salt, in the form of a completely natural dry mist, penetrate the deepest portions the lungs and the skin, where the greatest benefit is produced. We also take advantage of the negatively charged ions released by salt in our salt room that contains thousands of pounds of Dead Sea salt, known for its incredible healing powers, and also mineral rich Himalayan salt. Our salt room was constructed using the same technology of Halotherapy chambers that have been spreading across Europe and throughout the world for years, and only recently to the United States. Actually, salt has been used for thousands of years to effectively treat a long list of common ailments, but most notably asthma and psoriasis. Back in the mid-1800s, it was discovered that people who worked in the salt mines of Poland had a remarkably low rate of respiratory illnesses. Soon within one of these salt mines a clinic was placed, which is still in operation today. In order to simulate the therapeutic effects within salt mines, artificial caves were constructed on the surface in mainly Eastern European countries, where people would visit routinely to breathe the air which was saturated with beneficial salt particles and negatively charged ions. Recently engineers created a device called a Halo-generator, which not only simulates the conditions in salt mines, but accelerates the effect. A dry salt mist fills the air with particles ranging in size from .5 to 10 microns, which have been clinically proven to deliver the most optimal results. Halotherapy is beneficial to people of all ages, and actually children often experience the greatest results. Separate sessions are offered for adults, who typically prefer a peaceful, relaxing and undisturbed atmosphere, and for children, where play and chatter is encouraged in the unique setting. Halotherapy is applied widely both in resort and medical facilities of Eastern Europe and Russia. Tiny inhaled salt particles prevent the spread of microflora in the airways and prevent inflammatory processes. Adaptation to the specific micro-climate of the salt room is followed by activation of the sympatho-adrenal system, and strengthening of hormone production by endocrine organs. The quantity of phagocytic macrophages and T-lymphocytes increase; immunoglobulin A, G and E decrease; and the activity of lysosomes in the blood's serum increases. For patients with bronchial asthma, halotherapy provides a longer period of remission and transitions the patient to a lower degree of severity, which in turn creates the possibility of transitioning to smaller doses and more sparing forms of basic medicinal therapy. * More and more doctors in the St. Louis area are seeing their patients improve dramatically after Salt Room Therapy, and approve of its use. The links are located on the upper right-hand side of this and every page. The information provided by this website is for general informational purposes only. St. Louis Salt Room recommends that all medical conditions be treated by a physician competent in treating that particular condition. We take no responsibility for customers choosing to treat themselves. All products and services, including written information, brochures and flyers, as well as information provided by telephone verbally or by any other means of communication, are not intended to diagnose, treat, cure or prevent any disease. For all your health concerns, please consult an appropriately licensed healthcare practitioner. But considering the state of our current exceptionally limited health care system, please carefullly research every medication, therapy and procedure before you make a decision. Genuine Halotherapy (Salt Room Therapy utilizing a medical-grade Halogenerator) is fully supported by uncomplicated science. GIVE THE GIFT OF BETTER BREATHING, BETTER RELAXATION AND MORE! GIFT CERTIFICATES ARE AVAILABLE (in person, by phone, and on this site). UPDATE - There are NO CONTRAINDICATIONS for Salt Therapy. Severe high blood pressure which is not controlled well with medication. During the first 3 days of a cold. Should you tell your doctor about Salt Therapy? Please do! But keep in mind that only a small fraction of St. Louis-area doctors are qualified to give an informed response. I suggest investigating www.chervinskaya.com to hear from an MD who is most familiar with Salt Room Therapy. Some flexible spending insurance plans cover treatments. You should contact your insurance company to see if it is familiar with Halotherapy.